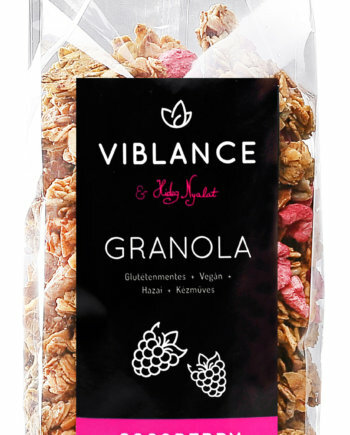 The Cacao flavor is the latest member in our granola family. We picked a cacao that is just about right: not too sharp but not too soft either. 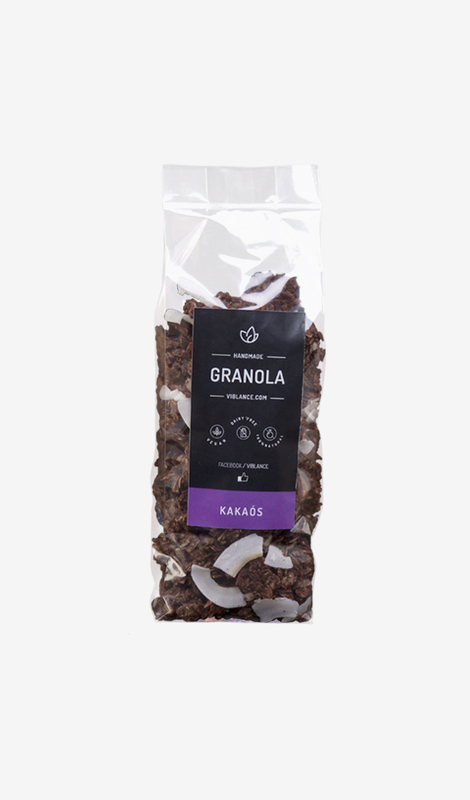 It gives the granola a rich chocolate taste without the overwhelming sweetness that industrial products are known for. 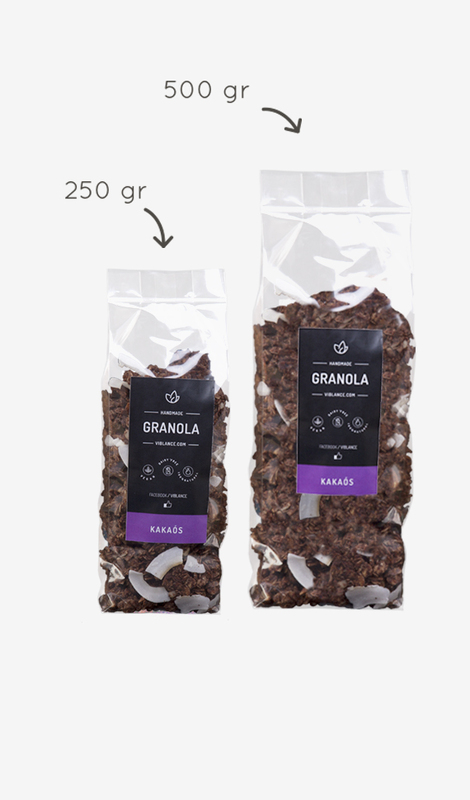 The healthy fats of the cacao provide a smooth taste also leaving enough room for the subtleties of the crunchy nuts to shine through. The roasted hazelnut in particular adds a grandiose finish to the product. BENEFITS OF KEY INGREDIENTS The benefits of cacao have been known for thousands of years as it is packed with phytonutrients. The ancient Mayans valued it so much that they even used it as currency and also for medicinal purposes. 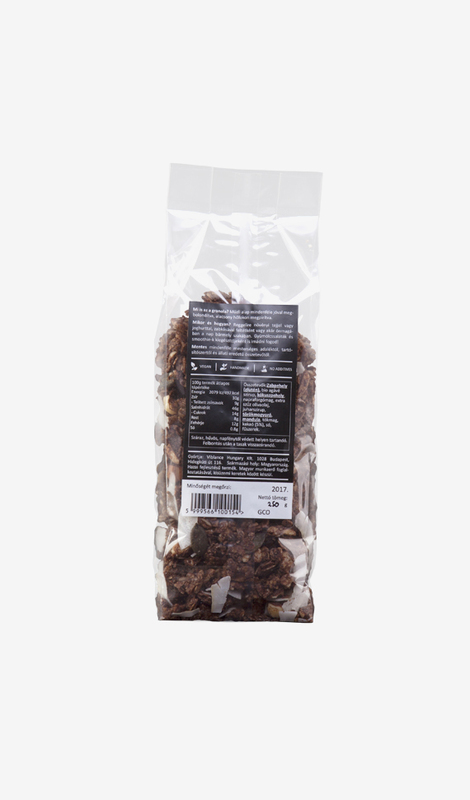 Its high antioxidant content helps to improve cognitive functions and reduce mental fatigue. 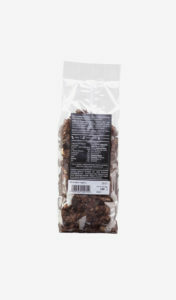 Cacao also triggers the release of dopamine and endorphins, two essential chemicals in the brain that make us feel good. 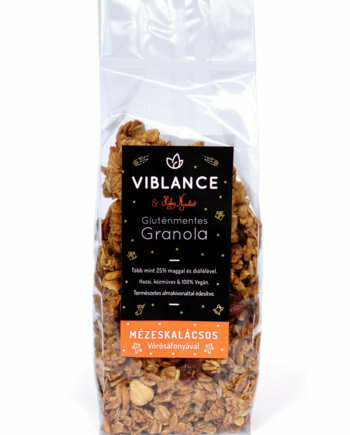 INGREDIENTS Gluten free oat flakes, sunflower seeds, pumpkin seeds, hazelnuts, almond flakes, coconut flakes, bio agave syrup, coconut nectar, extra virgin olive oil, cacao (5%), sea salt, spices. 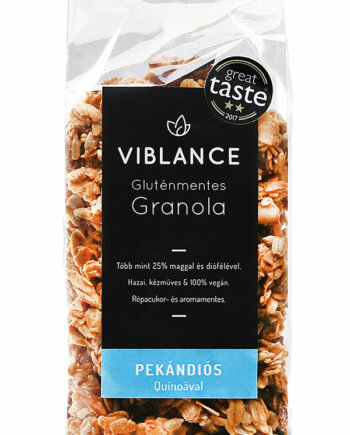 Produced in a gluten free facility.